Can quite possibly boast some of the best cover art in this style of magazine. 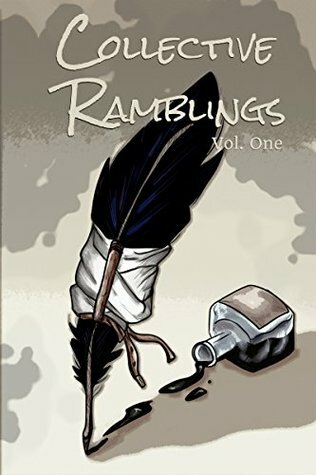 I am very pleased to announce the publication of Rambunctious Ramblings first volume of short stories. After a bout of contests run in 2015, these are the winning stories compiled into a single anthology. Aaron Hughes, Managing Director of Rambunctious Ramblings Publishing Inc, and his team, has compiled an eclectic and interesting set of short stories for this first volume.I am very proud to be one of those selected. The Era of Super Weapons – Roger, America’s super-soldier, embarks on what seemed a routine mission –until his enemies turn to allies against a horde revealing information that will turn the entire world on its head. Synchronysi – A steampunk masterpiece. After her volunteer operation, a woman awakens to a world made entirely of tine crystals. As she travels the shining island, the product of her surgery reveals much more than she may be able to handle—neither the land of crystals nor the world from which she arrived are exactly what they seem. Terrors Great and Small – A couple barricades themselves in their home to escape a viral outbreak carried by mosquito bites. As the days of panic and solitude stack up, they battle with both their own crumbling sanity and the terror of what really awaits them beyond their front door. The Walls Are Alive – in a world where violent offenders are placed in a deadly, automated labyrinth—designed to let no one escape alive—the labyrinth’s caretaker steps inside for a routine maintenance. When the automation turns on him, he’s forced to run the maze like all the criminals he’s sent to their own demise. We know everyone will love these imagination-stretching stories, that are filled with suspense, bravery, and danger, as much as we did.